Anyone can drink wine, of course. The trick would seem to be to pair wine appropriately with the food being served. Articles and websites and books that discuss the rules for pairing wine with food abound. In the end, I have discovered that there are really only two overarching rules. RULE #1 Conventional Wisdom. Proper pairings have been determined by general consensus over many years. 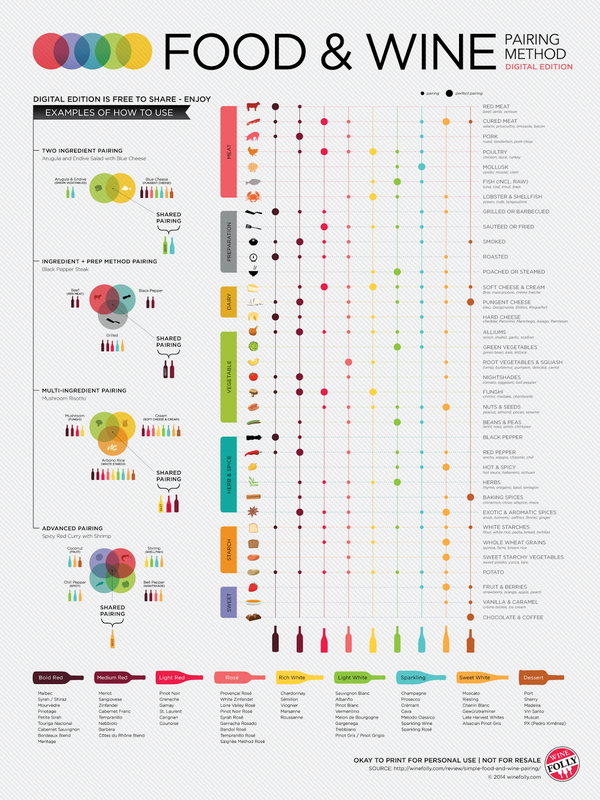 Check out the chart below courtesy of Food & Wine through Wine Folly. And you thought that the rule was simply Red = Meat, White = Fish. No, my friend. Life is too short and the wine trade is too lucrative. There are rules. You must follow the rules. RULE #2 There Are No Rules. What sharp eyes you have. Yes, Rule #2 directly contradicts Rule #1. If a vintner can age rosé in oak to give it the kick of a light red, rules no longer apply. Drink what you like with foods that you like. Wear stripes with plaid. It's a new world. OK. Pick your jaw up off the floor. Yes, recreational marijuana is now legal in California. 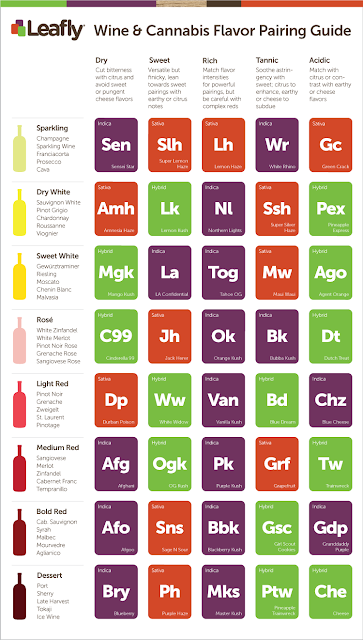 In a state known for both its wine and its pot (even before legalization), should we be surprised that Wine/Weed tastings are now a thing in the Golden State? How about starting the day at a pot dispensary stocking up on smoke (at your own expense), then taking a bus to two different wineries to try out wine/weed combinations, then finishing up back at the dispensary just in case you didn't choose wisely the first time? All for under $200...plus the pot. I am old. Acapulco Gold is not on the pairings list. Too retro even for California. Should this be archived on my FOOD AND RESTAURANT REVIEW PAGE or my FRANCE PAGE? I'll decide later.